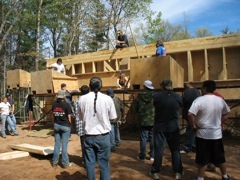 Design Coalition is working with University of Wisconsin-Extension to develop a program to train local builders from tribal communities in green building techniques in general, and the high-performance natural construction techniques developed by Design Coalition in particular. This is a multi-year effort, with grants from the Baldwin Wisconsin Idea Foundation, USDA and the Enterprise Foundation secured by Dr. Susan Thering. 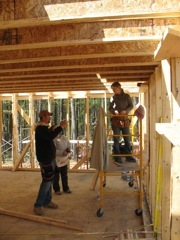 To jumpstart the the training process, we began with a workshop in Santa Fe, New Mexico in 2007. 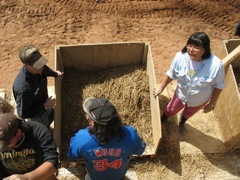 Housing staff from three Wisconsin tribes participated. 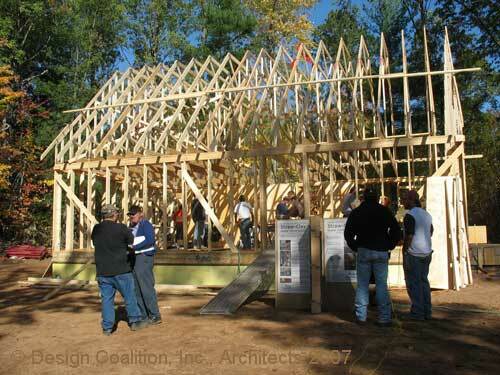 We soon developed the equipment and capacity to run workshops on construction sites in Northern Wisconsin. St. Croix is the first tribe to begin building, in Hertel (near the Wisconsin-Minnesota border). 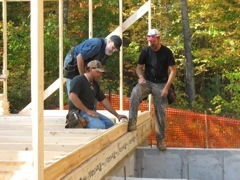 Their choice for their first two homes is our 26’ X 36’ four-bedroom design, modeled after "The Affordable Natural House", with passive cooling and solar heating features, straw-clay walls with advanced framing and earthen plasters, 100% recycled roof shingles, and hot water solar collectors. 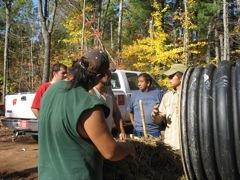 And in Summer, 2009, the carpentry class at the Lac Courte Oreilles Ojibwe Community College under the direction of Instructor Daniel Owens began their own straw-clay model home. 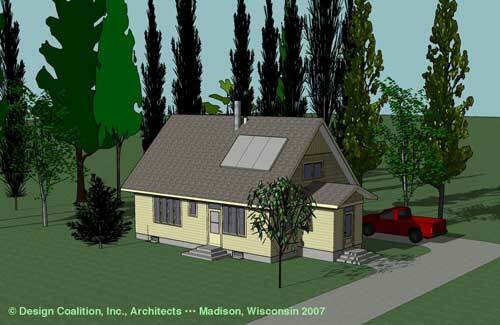 The "Green Generation House" is also part of this initiative. 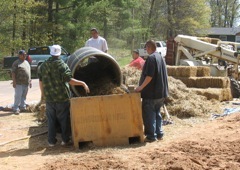 "The Six-Minute Straw-Clay House" video was shot during the second (2008) workshop at Hertel, Wisconsin.